Windows Phone is growing at a pretty quick rate, and compared to a year or so ago, there’s not many apps you’d miss if you’re switching from another smartphone platform. In fact, there’s pretty much everything you need, plus other exclusive apps that will enhance functionality, provide information and do so much more. Adding to our previous lists, here’s a couple more must have apps for your Windows Phone 8 device! 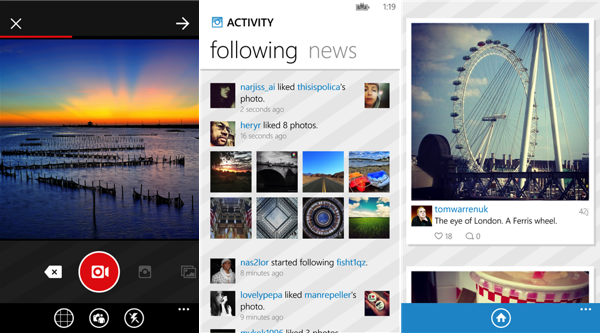 Another fantastic effort from Rudy Huyn, 6tag is a fully featured Instagram client for Windows Phone that is actually endorsed by the company. Nokia World 2013 revealed that the official Instagram app is on the way, but quite honestly, we’re not missing anything. It’s got filters, editing, themes, social sharing, video recording, you name it. The official app has some pretty stiff competition from this one, get it if you’re a photography enthusiast! If you’re a fitness buff but can’t seem the time to go to the gym for a full workout, this is the app for you. 7 Minute Workout is a set of time guided exercises that will keep you fit even if you’re not able to hit the gym. A full proper workout includes the entire set thrice. It’s by no means a replacement for going to the gym, but hey, something is better than nothing! Also found on Android and iOS, CamScanner is a fantastic app that lets you convert documents or photos you take pictures of into PDF files. There’s inbuilt sharing, multiple device syncing, save as JPEG, cloud storage and much more. If you don’t have a scanner, this app converts your phone camera into a near full featured scanner, what’s not to like? Insider is the ultimate all-in-one app for Windows Phone. It’s got so many features, it actually does the work of multiple apps. In fact, there are single apps on the App Store for functions available in Insider. 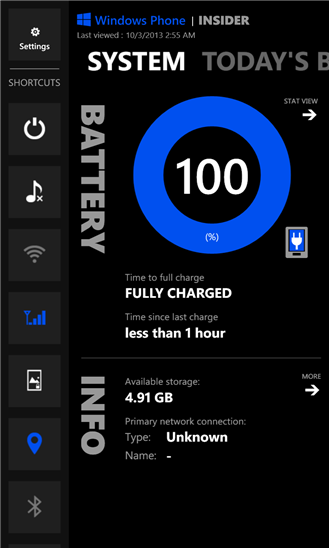 It’s got a battery indicator, power graphs, connectivity shortcuts, system info, Bing wallpapers, all Windows Phone info, clocks, diagnostics, flashlight and so much more. Insider is a true must have app for Windows Phone users. 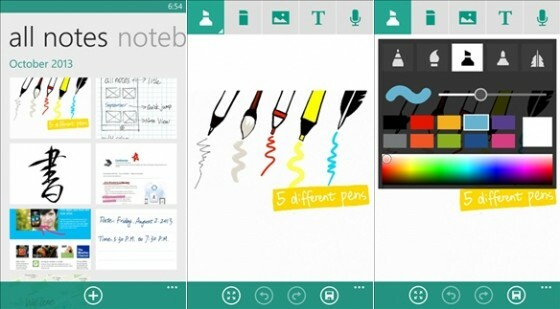 InNote is a great app that lets you take notes in many different ways. You can either use your fingers to write notes or use the keyboard. There’s a full set of writing and editing tools at your disposal including paint brushes, markers, ball point pens and more. You can even add pictures and record audio clips. 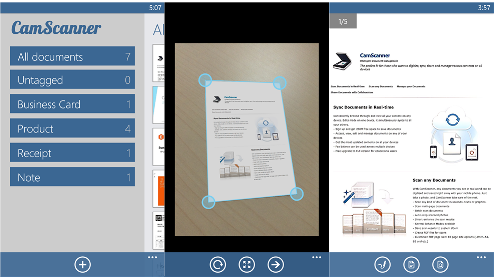 Plus, notes can be shared as PDF files or images and you can work in tandem with CamScanner for enhanced productivity. Windows Phone has a little bit of a problem with storage. You’ll notice that there’s an “Other” section in your storage that just keeps filling up and can’t be emptied. Desptire Microsoft and Nokia promising fixes, nothing has been overly effective. Shrink Storage is a simple app that basically “fools” the OS to release some storage it reserves for apps and temporary files. It fills up your storage with dummy data, then Windows Phone 8 allocates the reserved space and once completely filled, a restart and tap later you get all your storage space back. Results vary from phone to phone, but in some cases you can gain upto a gigabyte, not a small amount for phones without expandable storage like the Nokia Lumia 920, 925 or HTC 8X. There are a couple of websites and services that don’t have apps yet on Windows Phone, but work perfectly well as a mobile website. WebApps is like a second store, that lets you pin HTML5 enabled mobile websites for quick access like apps, provided you have an active data connection of course. It’s pretty handy to access services like Dropbox or fun websites like Atari Arcade. If you’re a foodie, Epicurious should be on your phone. Featuring a collection of drinks, food, snacks and pretty much everything eatable under the sun with detailed overviews, ingredients and instructions, Epicurious ensures there’s never a time when there’s nothing new to prepare. It sources everything from the website, so you can be sure to find anything you’re craving for! 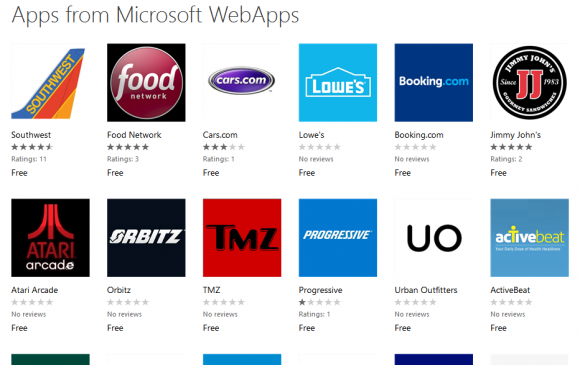 So there you have it, 8 more must have apps for your Windows Phone 8 device! Keep an eye on this space for more such apps, and do let us know if you think any apps you love should be added!